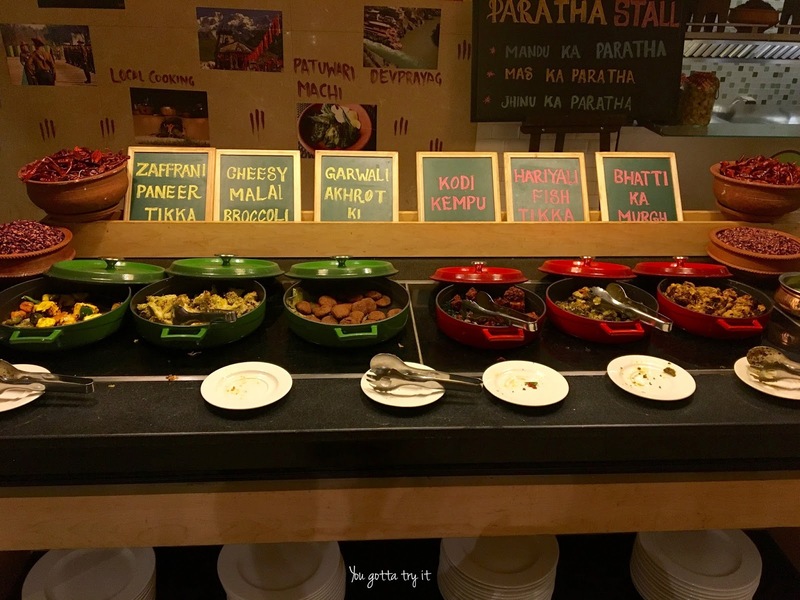 You gotta try it: Garhwali Food Festival (11th -20th Aug) at Kava, Fairfield by Marriott, Rajajinagar,Bengaluru! 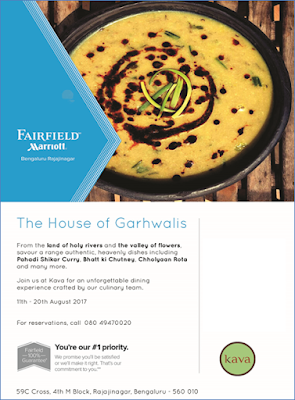 Garhwali Food Festival (11th -20th Aug) at Kava, Fairfield by Marriott, Rajajinagar,Bengaluru! As a Food Blogger I always get excited about the various cuisines I come across. 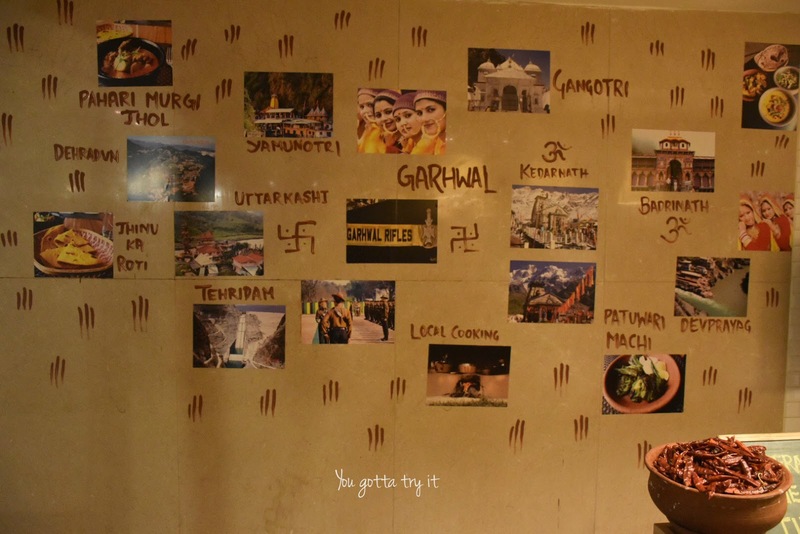 A recent addition to my list is Garhwali cuisine from Uttarakhand. 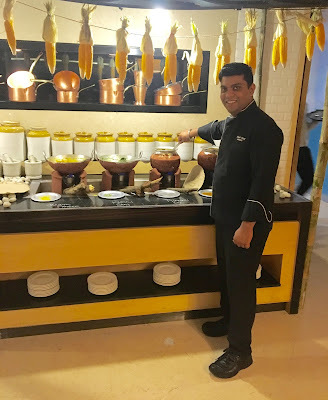 Kava at Fairfield by Marriott, Rajajinagar is having a Garhwali Food Festival this week to celebrate the cuisine from the land of holy rivers and valley of flowers. 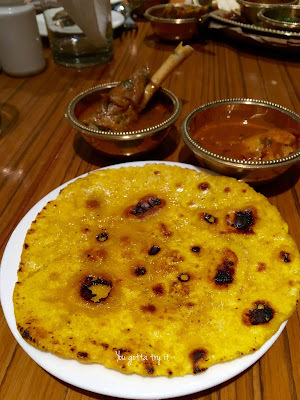 I was invited for a preview and thoroughly enjoyed my first experience with delectable Pahari dishes. The ambiance is perfect for a relaxed meal and the service at Kava is also great. 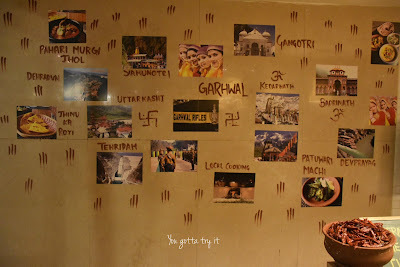 They have decorated the restaurant according to the festival theme and the first thing you will notice will be the two beautiful women at reception, dressed in traditional Uttarakhand attire. Bhang ki chutney (Yes.. you read it right! ), Bhatt ki chutney, Amla chutney, Batuwe ka raita and Amchuri ( a sweet and spicy version of Mango Murabba) were my favorite accompaniments. Surprisingly this is the first time I had a Thali without any fried items like papad or fritters and I really didn’t miss those. 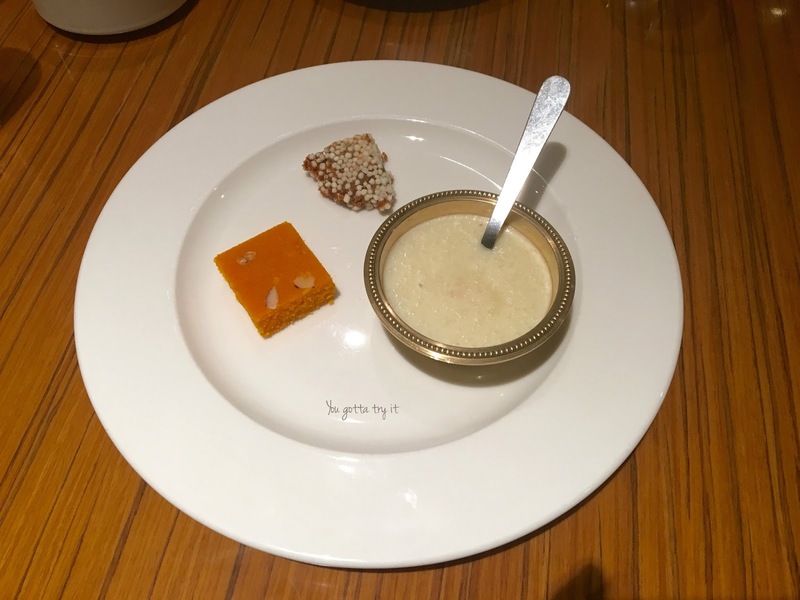 For desserts, though there were plenty of options I tried only Kheer, Coconut Barfi and the famous Bal Mithai (Chocolate colored barfi made of sweetened khoya coated with sugar balls). Along with Head Chef Aniket Das and other Chefs, the man behind this fest is Chef Kripal Adhikari who is also from Uttarakhand. So authenticity is guaranteed :) All the dishes were exceptional when it comes to simplicity and taste. The sizzling flavors are still in my mind and this experience will be cherished for a lifetime. The Dinner buffet is priced at INR 949 + Taxes. This festival is from 11th – 20th August and only at Kava, Fairfield by Marriott, Rajajinagar. Don’t miss it!